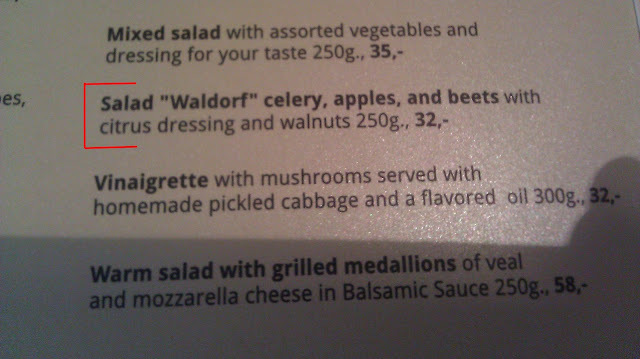 If memory serves me right, I don't remember beets being in the ingredients of a Waldorf salad. As Mr. Hamilton would say "what a dump!" Here's a short clip from the "Waldorf Salad" episode that gives you a firm idea of the ingredients the salad should have. Yes. Yes. Yes. Any post that can tie in a Fawlty Towers episode gets the nod of approval from me.